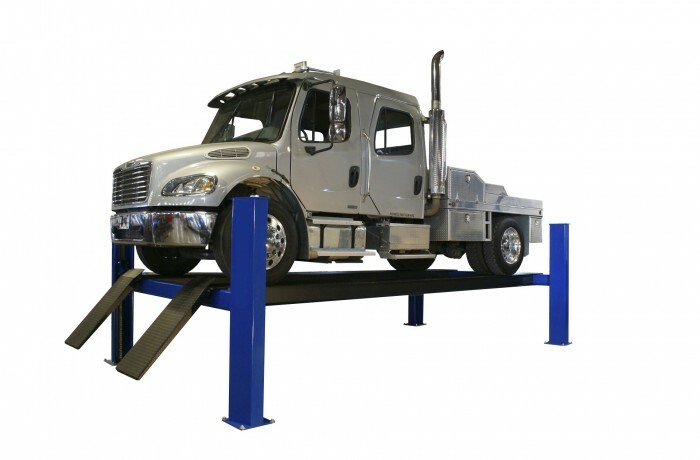 Our commercial four post lifts are great for any under-car service like exhaust work, transmission repair or oil and lube service. The heavy-duty leaf-chain lifting mechanism (not cables) assures you of years of trouble free service. Add a rolling bridge jack for any wheel-free service like brake work and tire rotation.